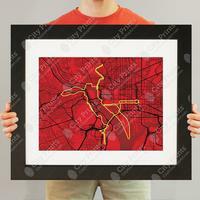 Marathon City Print Wall Map Art from Omnimap, a leading international map store. 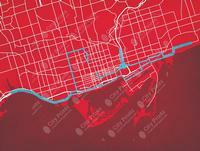 The Marathon series from City Prints memorializes the grounds where you conquered mind and muscle. You put in the training and you accomplished more than most ever do. 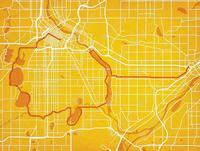 Now sit back and admire your City Print that looks like modern art and reminds you of the roads where you endured that beautiful pain. 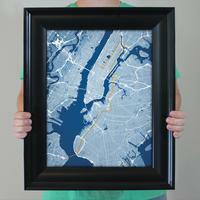 City Prints are truly the perfect personalized gift for the endurance fanatic in your life. These 12 x 16" art prints are printed on high-quality 105# Stardream Pearlescent paper. This heavy paper stock has a subtle metallic shimmer that gives your print a unique visual effect. Our 16.5? x 20.5? 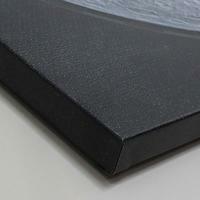 frames have a black 2.75” wide heavy polystyrene molding. We choose to mount the prints without an acrylic overlay, which shows off the unique properties of our paper stock when it hits the light. The back of the frame is sealed with a dust cover for added protection. Our 15.75? x 19.75? frames have a black 1.75” wide genuine-wood molding and an 11.75” x 15.75” measurement inside the mat. The print is enhanced with a soft white acid-free mat, which is bevel cut and placed on top of the prints. The print and matt are protected by a premium crystal-clear acrylic overlay. The back of the frame is sealed with a dust cover for added protection. We print directly on high-quality canvas, then stretch the image over heavy gauge 1.5? deep wood stretcher bars. Corners are braced with additional bars and heavy hardware is attached to the back so your piece is ready to hang. You can add gallery wrapped canvas to any print in our inventory by selecting that option on the product page. 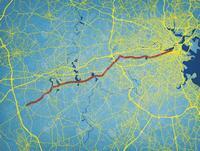 Sample detail from the map. 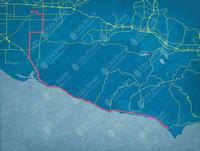 Thumbnail of the whole map. 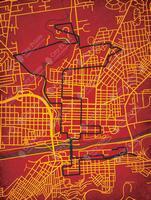 Kansas City Marathon Wall Map. 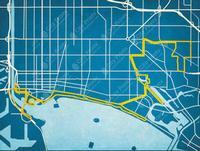 Long Beach Marathon Wall Map. 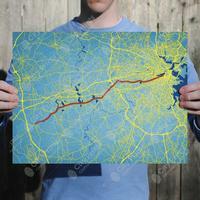 Marine Corps Marathon Wall Map. 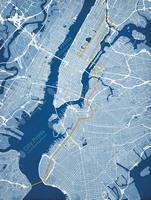 New York City Marathon Wall Map. 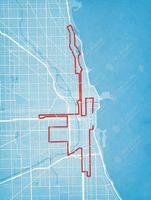 Runners World Half Marathon Wall Map. 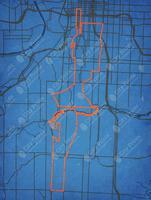 Twin Cities Marathon Wall Map.